During this time of year when we’re still in the Madness of March basketball and on the brink of baseball season, your little sports fans will love this graphing freebie! Use the header to make a large class graph. 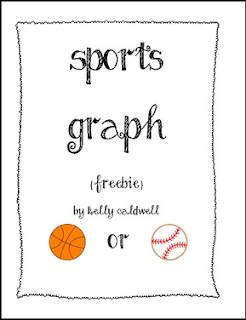 Children can cut out the smaller colored “baseball” or “basketball”, write their name under the ball and create the graph under the header. Discuss the graph as a class, and then distribute the worksheet to transfer & analyze the information.